Koya-san, or Mount Koya, lies at the south of Osaka, and is Japan's centre or headquarters for Shingon Buddhism. 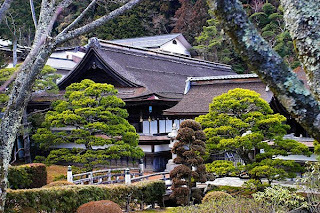 Many temples fill the mountains (easily over 100), and Koyan-san is also designated a UNESCO World Hertiage Site. 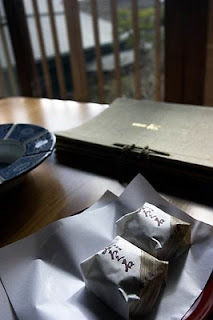 One of the interesting things at Koya-san is that you can stay in a shukubo, or temple lodging! The monks open up their temples for visiting tourists to experience a little of their lifestyle. 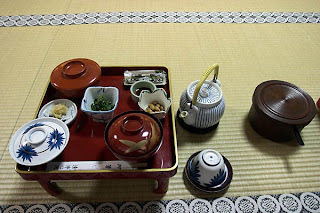 Usually, a stay comes complete with dinner and breakfast in the temple itself. You will be served shojin ryori, a vegetarian cuisine that the monks take. And I have to say that it's one of the best vegetarian meals I have in my life! 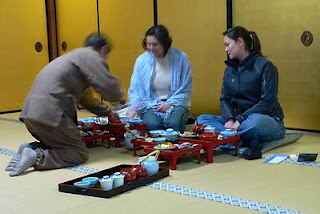 Typically, you will be asked to gather at a communal room at a specified time, and the meals would be served (together with the rest of the temple's guests). 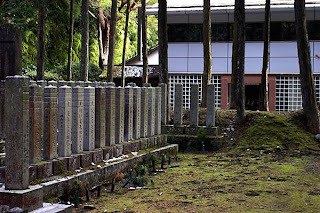 In Koya-san also lies Japan's biggest graveyard, where Okunoin is. 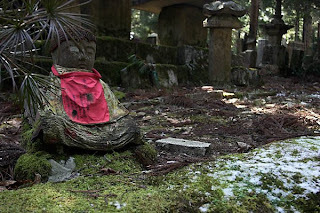 Okunoin is the temple where Kobo Daishi (Kukai), the founder of Shingon Buddhism, is buried. As he is extremely revered in Japan, many prominent and famous people would want to be buried in Koya-san together with him! The whole place feels very serene, which makes it excellent for quiet walks. There is also a Koya town, which seems to be more catered to tourists than anything, so you are able to get access to convenience stalls and such. To get to Koya-san, take the Nankai Koya line in Osaka to Gokurakubashi station. From Gokurakubashi, there is a cablecar which will take you up to Koya-san, where you will then need to take their 10-minute shuttle bus to Koya town. A little tiring in terms of transport logistics, but that's where the quiet and serene ambience of Koya-san is so welcoming!